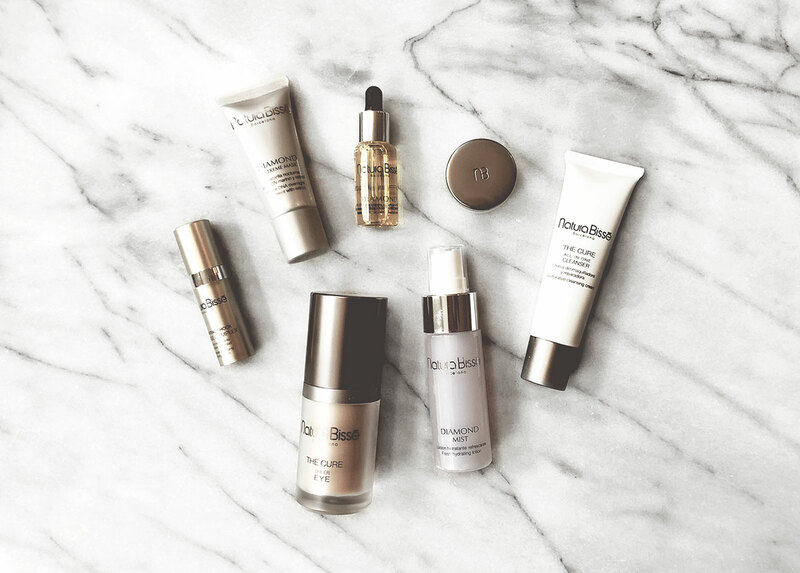 The first time Sarah and I went to Enlighten MD in Dallas, we noticed they carried Natura Bissé products and we have to admit, we were immediately impressed. It's one of those confidence building moments when you realize a new friend (or Med Spa) has great taste and you start to appreciate their expertise even more than the moment before! Yep, Natura Bissé at Enlighten was it for us. Natura Bissé was founded in 1979 by a renowned Spanish Family and is known today for truly world class spa treatments and ground breaking technology in skin care. Their products are luxurious for your skin, with moisture locking cures like we've never felt before. When Enlighten invited us to an exclusive, once in a lifetime, Natura Bissé Bubble Facial in their new event space – we had to pinch ourselves. What we experienced during this 99.995% pure air Bubble Facial was special – best part of the facial was what we took away from the experience. We learned the techniques and products we can use right in our home (and share with you) to maintain a healthy, age-defying glow without invasive scrubs or mystery masks. The Natura Bissé products are golden (in our opinion). We've included our rejuvenated skincare routine below with the products we're using in the shop below. Leave us a comment if you have any questions! The Cure All-in-One Cleanser | Wash face morning and night with the all-in-one cleanser to remove impurities and makeup while hydrating skin. 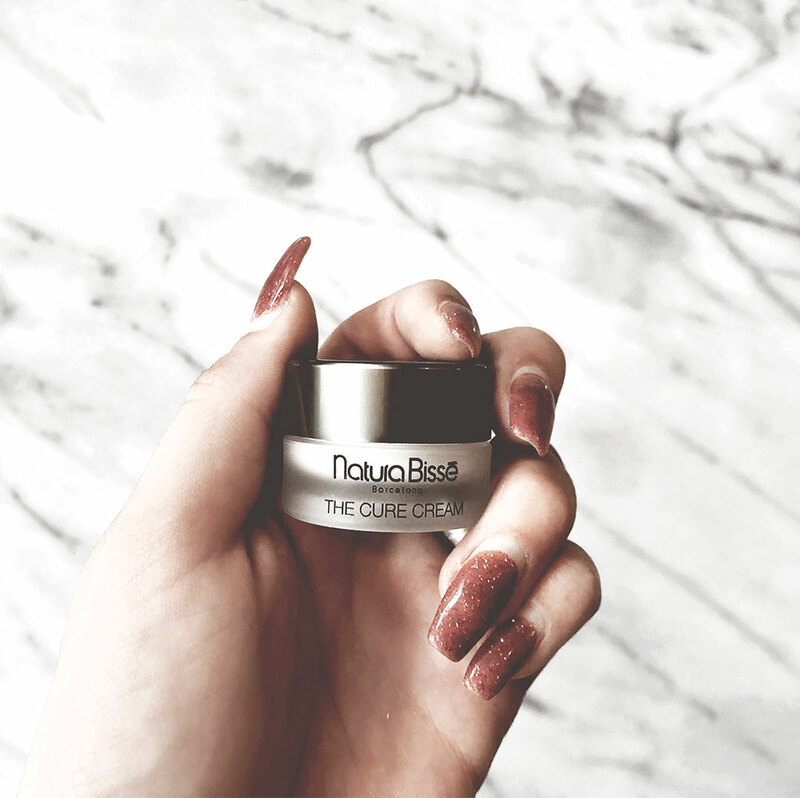 The Cure Cream | Apply this 'beauty cure' cream on your face and neck after cleansing. This velvety, soft cream is formulated to repair cell damage and prolong the average lifespan of cells and is sure to leave your face supple and moisturizes. It also protects your skin against free radicals. 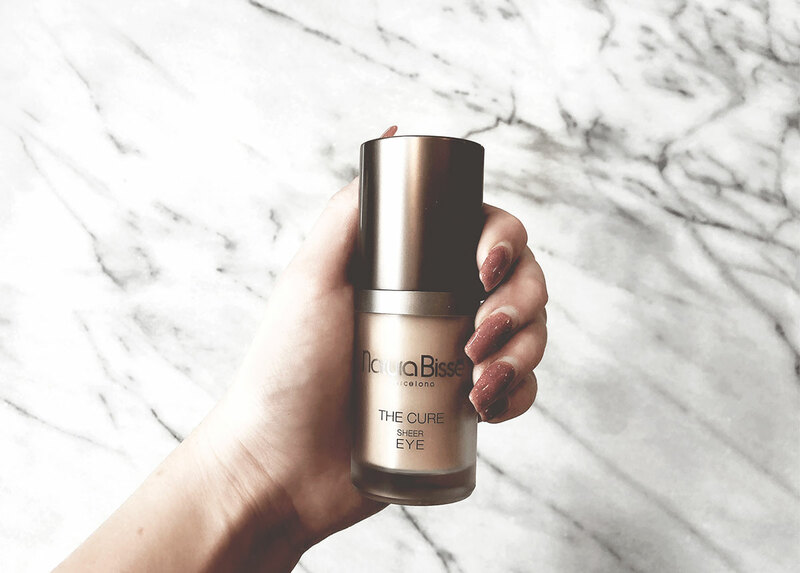 The Cure Sheer Eye | This eye cream is everything! It repairs, conceals, and fights fatigue around the eyes. I have lived with tired eyes my whole life, and finally found a solution to help repair and cover the deep circles! 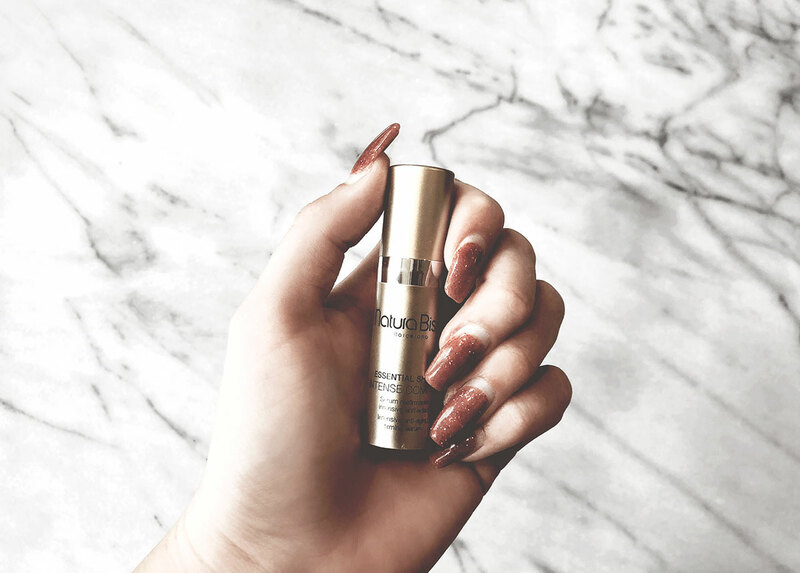 Essential Shock Intense Complex | Apply this serum on your face after cleansing at night. This serum is insanely beneficial for your skin and helps repair the deepest skin layers overnight. It also combats damage caused by hormonal fluctuations. Diamond Extreme Oil | At night after cleansing (and using serum), apply a few drops of the Diamond oil onto your face and neck and massage gently. Diamond Extreme Mask | After massing the Diamond oil onto your face, apply an even layer of the Diamond mask on neck and face. Leave the mask on to penetrate skin overnight.